It was an afternoon soaked in nostalgia, an afternoon of gripping stories, narratives and anecdotes. It was an afternoon of cricket reverie. Indeed stars descended at a upscale Mumbai hotel on Wednesday, all on the same stage, as we celebrated that epochal triumph in India's cricket history: being crowned the world champions in 1983. 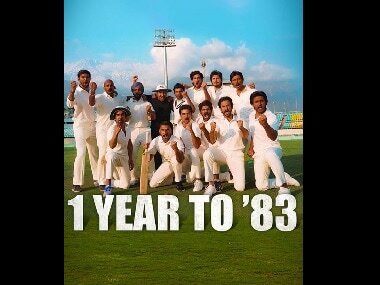 Twelve members of that legendary squad, including the then captain Kapil Dev, Krishnamachari Srikkanth, Sandeep Patil, Dilip Vengsarkar and Mohinder Amarnath gathered on the occasion of the launch of a film based on the 1983 World Cup win, and it was more than enough to keep a connoisseur of the game thoroughly engrossed. Actor Ranveer Singh, who will play the role of Kapil in the upcoming film being directed by Kabir Khan, paid rich tribute to 'Kapil's Devils'. "It was so shocking and surprising to learn the odds against which these gentlemen had to fight and rise against for the greatest sports triumph, and more than a great sports story and a great cricket story, it is a great human story," he said. One of the biggest odds that Ranveer would have alluded to was the ascent of Kapil and Co from complete outsiders and underdogs to being the champions of the world, beating the seemingly invincible West Indies twice on the way. Nobody gave India a chance, and the team members themselves were not confident of their prospects in the tournament. Srikkanth shed light on this in his own irrepressible way, his comic timing leaving the audience in splits. "I had just got married on 30 March, 1983 and Sunny (Sunil Gavaskar) called up and said, 'Hey, we are going to America for a holiday after the World Cup, so please book your tickets. 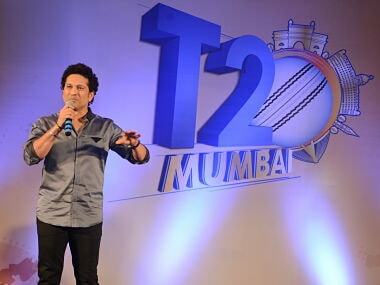 The plan was Mumbai to New York and a stop-over in London to play the World Cup, by the way. All of us had booked the tickets. Because you have to understand, before 1983 World Cup, India had participated in two World Cups (1975 and 1979) and we had beaten only one team—a team called East Africa, which was a bunch of Gujaratis put together, nothing else. In 1979, incidentally, India lost to a team called Sri Lanka. I told Vidya (Srikkanth's wife), 'Why come here? Let's go for a honeymoon.' I took up a short honeymoon to Sri Lanka in 1983, then I said, 'We will have a second honeymoon in London, third honeymoon in US.'" The pillar of the Indian team, and Man of the Match in both the semi-final and final, Mohinder Amarnath added, "We used to go on holidays in those days. Paid holidays... young guys, unmarried. The first thing that came to mind is that we would have to go to England. Why? Because there were blondes (with) long legs. That is the mindset Indians had. But 1983 was different." All-rounder Kirti Azad echoed that thought too. "When Kapil said I was selected in the World Cup squad, I was happy. Free paid holiday mil gaya, England dekhenge, ghoomenge, aram se ek mahine ka masti (I had got a free, paid holiday, I will tour England, it would have been fun for a month). But it turned out to be different." The swashbuckling Srikkanth also talked about the time when Kapil tried to impress upon the team that they had it in them to beat West Indies. "You were talking about beating a West Indian team and what a team it was—Gordon Greenidge and Desmond Haynes opening, No 3 Vivian Richards, No 4 Larry Gomes, No 5 Clive Lloyd, No 6 (Faoud) Bacchus, No 7 Jeff Dujon. Then the four fast bowlers, whose names none of us wanted to remember in our lives. By the way, they were known as something like Michael Holding, Andy Roberts, Joel Garner and some (Malcolm) Marshall! And the 'crazy' Kapil Dev was talking about beating this team. 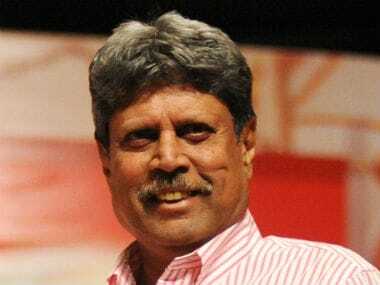 But then Kapil was very serious," Srikkanth recounted. Another key member of the side, Yashpal Sharma, revealed how even the broadcasters took India lightly. "When we were playing the first match against West Indies, BBC who were recording the tournament live, felt it would not be much of a contest, West Indies would annihilate India and didn't cover it. So there is no recording of that match. Then when India won their first match, they (broadcasters) got a 880-volt shock. BBC now felt they must cover India," Sharma revealed. The calm and composed Roger Binny, who still looks like an outlier among a bunch of fun-loving individuals, recollected how the first match of the tournament against the Windies at Manchester turned things around India. "Before the Manchester game, we were playing trash, we had lost all the practice matches. We didn't have the brightest starts, we were not enjoying the tour. But once in Manchester, everybody started to show a different attitude. That lifted the whole team. That is what got us going," Binny said. The talk inevitably moved to Kapil's innings of 175 not out against Zimbabwe that had since made its way into not just Indian, but world cricket folklore. Binny summarised the knock and the situation surrounding it well. "When we reached Tunbridge Wells, there was a little bit of overconfidence as we had beaten Zimbabwe in the first game. We were 17/5 in this game, I was the seventh batsman; by that time the captain (Kapil) was already in. At such a point of time you are so tense and nervous that you don't know what to do. Kapil came up to me and said we have 53 overs to go, let's play a few balls, let's take ones and twos, no boundaries. "We took the score up to 77. Then I got out. Then Madan (Lal) came in (Ravi Shastri had got out after Binny). Madan and Kapil put on about 70 runs, then Madan got out. Still Kapil had not taken off. He was playing ones and twos. Then (Syed) Kirmani came along. They put on (over) a 100-run partnership and 90 per cent of the runs were scored by Kapil. If you see the scorecard, Kapil was 175, and the next batsman was 24. That was the dominance of his batting. In the last seven-eight overs, you saw Kapil hit some of the biggest sixes we saw in the World Cup. They were going outside the stadium. Had we lost that game, India would not have been in the World Cup playoffs." 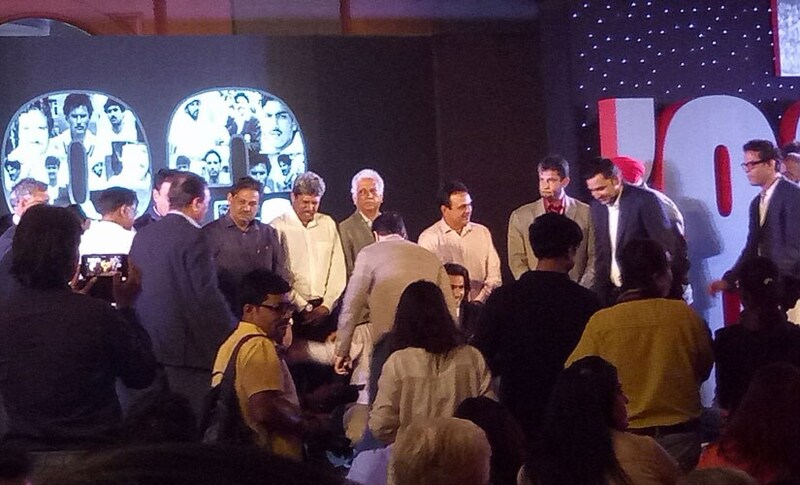 The anchor of the event, Gaurav Kapoor, mentioned Gavaskar telling him that that knock by Kapil had changed not just that game, but the game of cricket itself, forever. The discussion then moved to another massive turning point for India in that tournament: another moment involving Kapil, which underlined his central role in India winning the trophy in the end. In the final against West Indies, after Greenidge was dismissed by a ripper from Balwinder Singh Sandhu, the great Vivian Richards joined Haynes in the middle and went on the offensive from the word go. He raced to 33 off 27 balls, 28 of those runs coming in boundaries, and was threatening to quickly put the game beyond India's reach. "When Vivian Richards was hitting one boundary after another, I was fielding at deep fine leg," revealed Sandeep Patil. "Pummy (Marshneil, wife of Sunil Gavaskar) and Vidya (wife of Srikkanth) were sitting behind me in the stands. And Pummy told me, 'Tell Sunil to meet me outside in half-an-hour and we will go shopping.'" Then came that awe-inspiring moment. Richards top-edged a delivery from Madan Lal, and Kapil ran behind his back for 20 yards all the way from midwicket to almost near the fence, to complete an absolute stunner of a catch. It needed something special to get rid of a special player and Kapil produced one. Reliving that moment, Madan Lal said, "Yash (Yashpal Sharma) was also nearing the ball. Kapil was almost under the ball and he was such a good fielder I knew he would catch it. I was shouting at Yash to stop. I was afraid they would collide." Kapil recounted how Madan Lal had insisted that he bowled that over to Richards, though he had been taken for two-three fours in the previous over and Kapil wanted to give him a break. "I said, 'Madipa (Madan Lal), aap thoda sa break kar lo (Madipa, take a little break), I will bring you on after two overs," Kapil recollected. 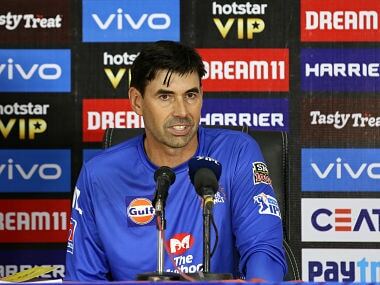 "But Madan said, 'Kapilpa, tu mereko ball de de, pehle bhi main Viv ko out kiya hoon, bas ek over de de' (Kapilpa, give me the ball, I have dismissed Viv earlier too, just give me one over). "When a player's confidence is so high, you don't refuse. It is his voice coming from inside," Kapil said. Richards' wicket set about a collapse in the West Indies ranks and they lost their remaining seven wickets for 83 runs to hand India a momentous victory. Sadly, neither Kapil's 175, nor his game-turning catch of Richards could be seen live by the fans in India as BBC was on strike during the former event and Doordarshan went off during the time the latter was about to unfold. India's victory over the formidable hosts, England, was also one to savour. 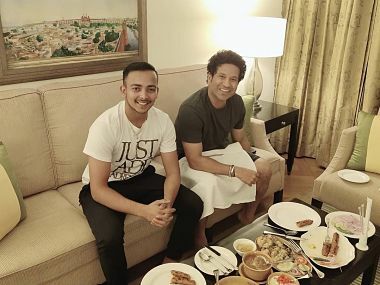 Amarnath recapitulated his partnership with Sharma in the semi-final against England, and Sharma's six off Bob Willis which became iconic much before Sachin Tendulkar upper cutting Shoaib Akhtar into the stands at the Centurion. "We were playing the semis. I was batting with Yash against England. Before lunch, Sunny (Gavaskar) and Srikkanth were out. So I was playing sedately. I told Yash, 'Let's not lose wickets, even if we score slowly it is okay, there were still a lot of overs left. He said, 'Jimmypa, theek hai (Jimmypa, it's ok). So we were playing slowly and runs were hard to come by. "When we went to the dressing room there was complete silence. Nobody was talking to us. We thought, 'What did we do wrong? We were playing according to plan.' When we stepped back onto the ground, I told Yash, 'Look, the time has come. Both of us shouldn't take risks, I will take risks and you play watchfully.' He said, 'Yes Jimmypa (Amarnath). In the first over, I hit a four over mid-off. "How would Yash have accepted that? Next over, he hit a four of his own, stepping out. I told, 'Listen, calm down. We should not lose wickets. If one or two wickets fall, we would be in trouble.' He replied, 'Ok Jimmypa, no problem.' Then Bob Willis came in to bowl. Long run up, long hair, steaming in. I told Yash, 'Play carefully.' He said again, 'Yes Jimmypa, no problem.' As Willis came in, Yash moved away from his stumps, moved to the off side and flicked a huge six. I was the non-striker. I was afraid. 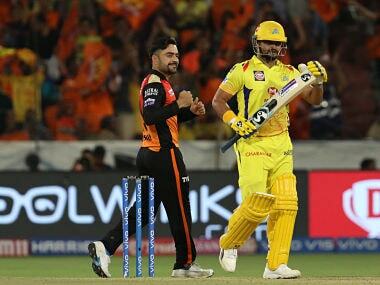 But he played a fantastic knock in the semi-final." Sharma top scored in that match with 61 and Amarnath contributed a creditable 46. The duo added 92 runs for the third wicket which put India on the road to victory. Patil recounted how a jibe in the English press before the semi-final galvanised the whole team. "The England papers said it was a free ride for England to the final. That hurt us and I remember Sunil, Jimmy and Kapil reminding us of that at the breakfast table. And when my turn came after Jimmy got out, I told myself, be it Willis or anybody, I will hit out." Patil hammered 51 off a mere 32 balls with eight hits to the fence, which snuffed out any chance England might have had to salvage the game. Sandhu had the audience roaring with laughter with hilarious anecdotes on Kapil's English and Patil's fielding lapses. His jovial banter with Srikkanth and Patil highlighted the bonding and bromance the architects of that famous win still share, even after more than three decades. Vengsarkar, meanwhile, struck a sombre note when he shared his disappointment at having been ruled out for the rest of the tournament after a Marshall bouncer broke his jaw. The ace batsman, however, didn't forget to add, "Kapil and I played together since school days and Under-19 days and what a cricketer he was. He became one of the greatest all-rounders this game has ever seen. He always had a great belief in himself and is a very positive person. Whenever he had to bowl at the fag end of the day, he would be ready. He is a great human being as well. 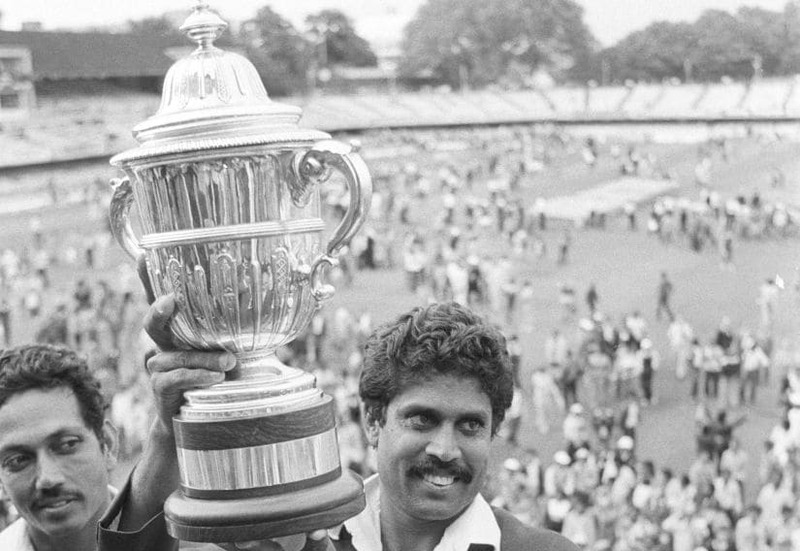 It was a great victory, everybody played their part, but the Man of the World Cup was none other than Kapil Dev Nikhanj." Kapil noted, "There was an urge and passion to win. We knew we weren't the strongest team around, but halfway through the tour, we realised we had a team." There was more amusement when the players talked about their superstitions. Sunil Valson, who was a reserve player in the squad, and Man Singh, the manager of the team, also shared their stories. The audience, however, missed three other key members of that world-beating side, Gavaskar, Kirmani and Shastri, who were absent due to prior engagements. It is fitting that what was perhaps the most significant victory in the history of Indian cricket was being translated into a film. "When Kabir Khan saab came and said he would be making a film on the 1983 World Cup, I said, finally, finally the greatest sports story is coming to screen," said Ranveer Singh. It was a win that completely changed the way cricket was perceived in the country. After that triumph, the players, administrators and fans alike realised that India had a potential in the sport. It broke the hubris of West Indies, who probably paid the price for underestimating India, and also broke the hegemony of England, giving India the bidding rights for the next World Cup. 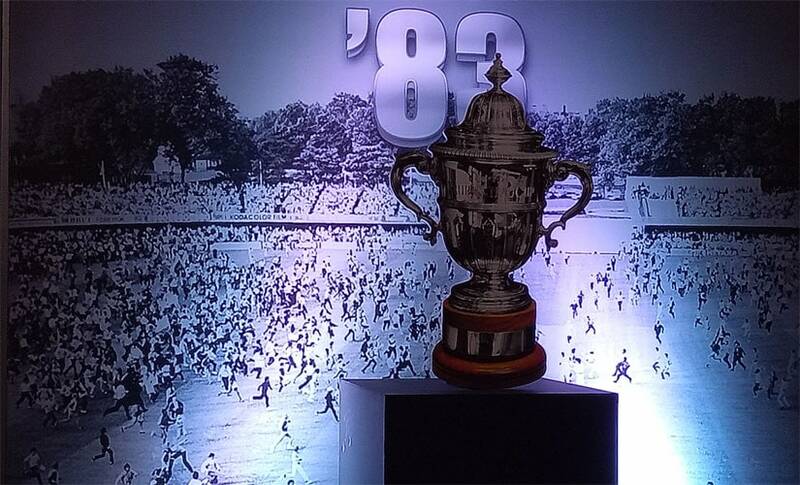 The foundation of India's rise as a superpower in cricket was laid on 25 June, 1983.